Did you just start your own Company or Startup, and suddenly find out that you are in charge of managing all the financial records of the SME business? No worries, we have the right solution for you: the Top 13 most used accounting templates! They are nicely formatted in Excel and ready to print once filled in the requested information. Easy to customize to your personal style. Feel free to edit and change the formulas to meet your needs. When you decide to use our financial and accounting templates set, you are guaranteed that you will save time, cost and efforts! 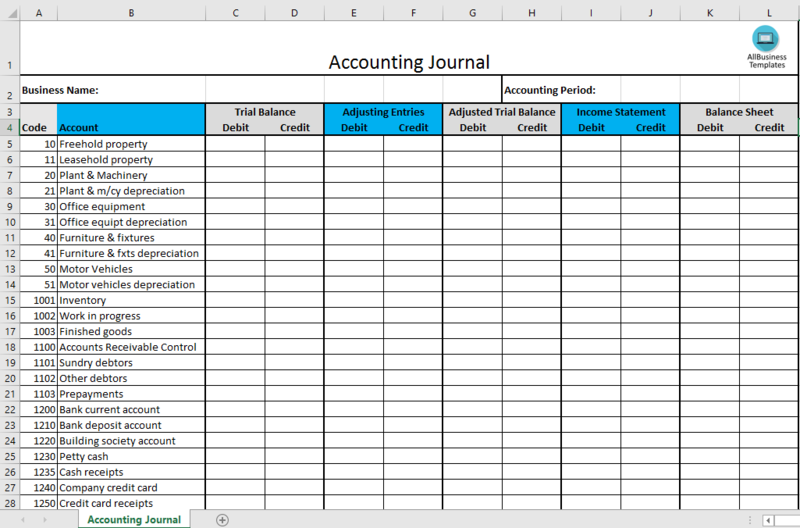 Download these Accounting templates in Excel and start immediately.